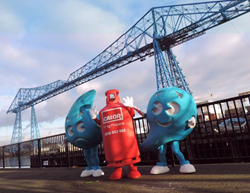 Rant & Rave, the UK leaders in Customer Engagement technology, has been selected by Calor, the UK’s leading LPG supplier, to capture real-time feedback. Calor customers will now be invited via text message to rate how satisfied they are with the service they receive and to share any other thoughts in their own words. The initiative is part of an effort by Calor to better understand what really matters to their customers at critical points along their journey. Rant & Rave’s text analysis technology will understand every comment instantly and present results back to Calor staff so they can take action. By gathering feedback in this way, Calor will be able to identify and respond to opportunities for improvement quickly, monitor product performance and service level trends and crucially recognise those employees who are delivering extraordinary levels of customer service. Rant & Rave was launched in 2000 and is a leading customer engagement specialist, counting half of the FTSE as clients. Its real-time technology lets brands proactively communicate with and listen to the voice of their customers so they can take real-time, inspired action. To find out more about Rant & Rave, visit http://www.rantandrave.com.